I once read a wonderful quote by Regie Routman, “Once teachers give up the control and let their students help make the decisions on how to organize their library, pleasant surprises await.” Those words were in the back of mind as I was working with a fifth-grade class. We had been organizing their classroom library and we had completed the creation of topic bins for their nonfiction section. Today we were beginning to tackle the fiction section. In preparation for the meeting, I had planned ideas for categorizing, sorting and organizing books. I had a list of possibilities for arranging this section; subgenres, authors, series, interests, categories, and even creative titles. The students had made it clear that they did not want to continue with having their library only organized by level. Which was interesting because the classroom teacher mentioned that her class last year only wanted it organized by level. This made me wonder, what does that say about the readers and what had changed from last year to this? Thoughts to further ponder. Students gathered on the rug and we started to discuss the ideas I had brought. It was very apparent from the start they had their own ideas and were ready to get to work. We started with two bins that had been labeled level S. It was apparent that these readers knew the books in their library and were avid readers. One jumped in right away and said, “Mrs. Fenton there are three I Survived books by Lauren Tarshis in that bin but I know we have more. So he ran and got the other books from the leveled bins and put the series together. Next, a student noticed a copy of Frindle, by Andrew Clements and said, “I know we have more books by that author,” and grabbed those to put in a basket. The buzz in the classroom began to rise as partnerships began to investigate different options that made sense to them. 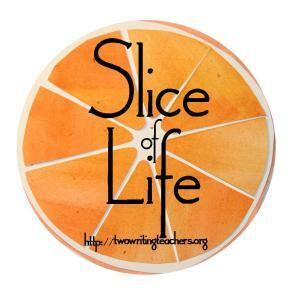 Then all of a sudden a student spoke up from the back of the room and said, “Mrs. Fenton we should have a special bin for the books that we have written this year!” Nothing could have pleased me more! To see the value that this student placed on the authors in their classroom. All of his classmates agreed and they began to decide where the special display would be placed. As students began to create additional piles of similar books and place their suggested titles on sticky notes a young girl came up with another idea. “Mrs. Fenton what if we wrote short summaries of the books we have read and placed them in the books so that our friends would know what the book was about, and could come to us if they wanted to know a little more before deciding to read it.” Fabulous I thought! When have you had a student suggest that they write a book summary? The other students agreed it would be very helpful when choosing their next book to read. As we were finishing up our time together another student asked if we could have a system that would help keep books organized in the appropriate bins. He said what if we put colored dots on the books that belonged together it would be easier to return books to their appropriate place. Another student said we might need to put multiple dots on books as they might be appropriate for a couple different bins. It was amazing the ownership and pride these students took to organizing their library. As I was leaving with a warm heart, excited about the work the students had done I realized I had not shared half the ideas I came with today. By giving up the control and letting the students make the decision for their classroom library pleasant surprises had truly unfolded! Nothing better than reading about kids taking charge of their classroom and learning! Talk about student engagement! Wow, wow, wow! This is so uplifting. It’s interesting how the pendulum is swinging toward more choice, more autonomy, and more trust that kids really do know about themselves as readers and writers. Such great ideas from students and they clearly know the books in the classroom. 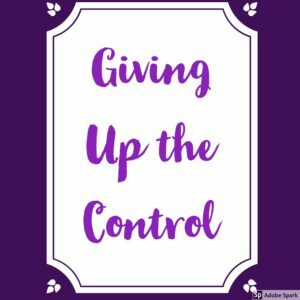 Sometimes our job is not to direct but merely provide the opportunity – giving up control! Students never cease to amaze me! Kids are smart. They know what they need. Don’t you love when they take control? Thanks for sharing your progress with the new classroom libraries. Colored dots that don’t represent levels? Love it and love that you took time to let them help organize. I bet many students found books they didn’t realize you had there. Sometimes giving up control is so hard, but the surprises are wonderful. I love the thought of them considering themselves as authors and worthy of being placed in the library! Makes me smile.